Why you should schedule a drawer clean out. I am focusing on the kitchen, I want to highlight an area that even I have missed in the past. It is cleaning out your drawers; you might only ever put clean items in there but for some reason they still accumulate dirt and debris and it is good to get rid of this on a regular basis. It means that when someone goes for an item from your cutlery drawer, they don’t see a pile of crumbs on top of the clean items. It is surprising how many items seem to fall into a drawer, from crumbs, dirt even fluff all seem to get into my drawers. What is handy is that cleaning these out is little more than a 5 minute job, if it is all organized and literally means just pulling the items out of the drawer, wiping it out and replacing the items. However, this is only possible if you keep your kitchen drawers organized. If you need to organize them first, then the task is going to take longer. Getting this dirt, crumbs and often fluff out of my drawers ensures that the clean items stored there are not getting dirty before being used. I do try to do this task at least once a month if not more, this is because I have dogs who malt and their hair seems to get everywhere! I will often just empty a drawer at a time if I have a few minutes to spare, whilst cooking tea. 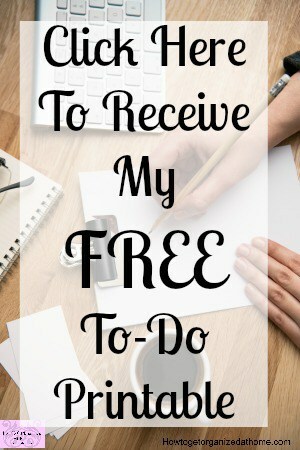 It means that I feel productive and I don’t feel like I am wasting time while I wait for something to cook. If I am cooking, I can’t leave the room as I have a tendency to forget what I am doing and something is likely to burn. Therefore, by choosing a quick cleaning task that is in the kitchen, I feel that I am heading in the right direction by cooking and not wasting time but being productive. I always check when I am putting stuff back that I am not putting anything in there that belongs elsewhere; if I find such an item, I remove it and return it to its home. If I find the same item more than once, I do question the items home and if I need to change the location. I spend my whole life cleaning because I feel that if I don’t clean someone will notice and think that I am a bad wife and mother. I don’t want people to think I don’t care and that I am not house proud. It is probably more to do with me, my need for perfectionism and yet never getting there. What is odd though is, no matter how picky you are, there is always an area that you don’t feel that you are in control of. Sometimes I feel that I have many of these and other times I do seem to manage better. 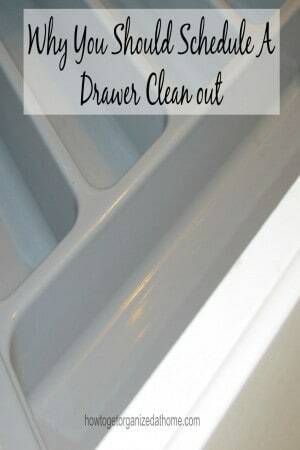 Therefore, if you have just five minutes to spare you can quickly tackle a drawer in your kitchen to make sure that it is clean and dirt free. Haha, my new kitchen took care of this little problem by not having ANY drawers! Very annoying and frustrating!